Accepted file types: pdf, ai. After printing the labels through the printers how do I collect them? Do I need my labels rewound on a cardboard core? 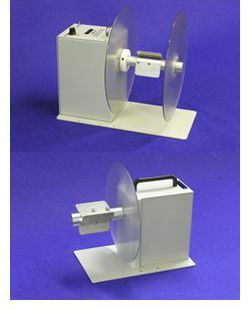 Met Speed Label can provide label re-winders for your labels in various sizes and configurations. These devices mount in front of label printers to collect finished labels. They are separately powered and separate from the label printers. The re-winders can rewind on or off a cardboard core. Roll capacity are available in 8” OD as well as larger rolls.